Saying she is "horrified" by the separation of families caught illegally crossing the border, the mayor of Atlanta has taken a dramatic step to prevent her city's jails from cooperating with the Trump administration's controversial immigration policies. Mayor Keisha Lance Bottoms signed an executive order on Wednesday prohibiting Atlanta's jails from accepting new detainees of the U.S. Immigration and Customs Enforcement Agency. 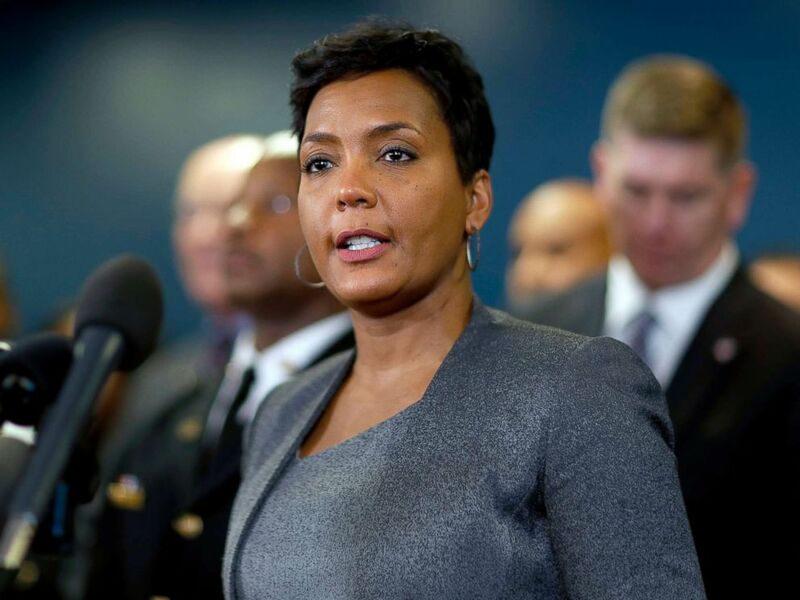 Atlanta Mayor Keisha Lance Bottoms speaks at a news conference in Atlanta, Jan. 4, 2018. On June 20, 2018, Bottoms said the city won't accept any new immigration detainees until she's certain the child separations have stopped. "I, like many others, have been horrified watching the impact of President Trump's zero-tolerance immigration policy on children and families," Bottoms said in a statement. "My personal angst has been compounded by the City of Atlanta's long-standing agreement with the U.S. Marshal's Office to house ICE detainees in our City jail." She acknowledged the possibility that her order would prompt ICE to send detainees to substandard, private jail facilities in the state. 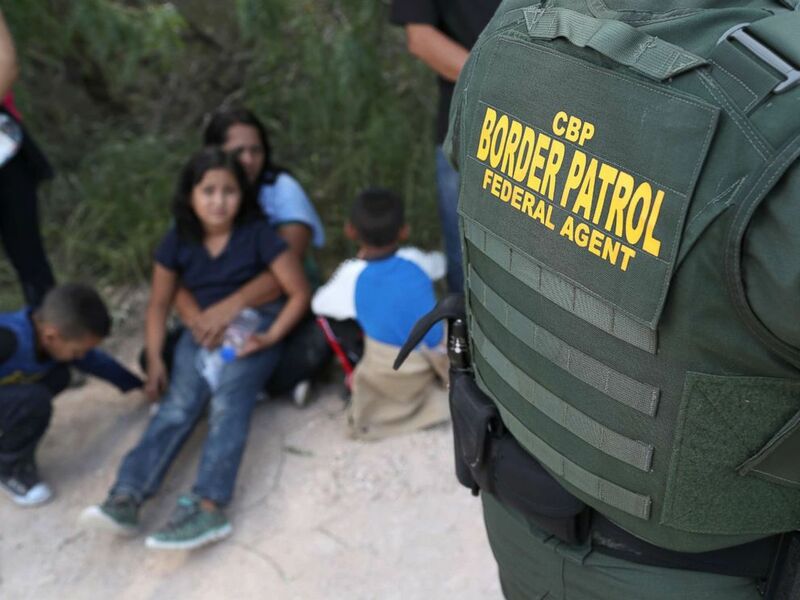 "But the inhumane action of family separation demands that Atlanta act now," Bottoms said. Under growing pressure to act unilaterally to address the immigration crisis, President Donald Trump on Wednesday signed an executive order that he said would keep immigrant families at the border together. But the administration released little information on how parents, many who have already been deported, will be reunited to their children who have been placed in foster homes or detention facilities across the nation. 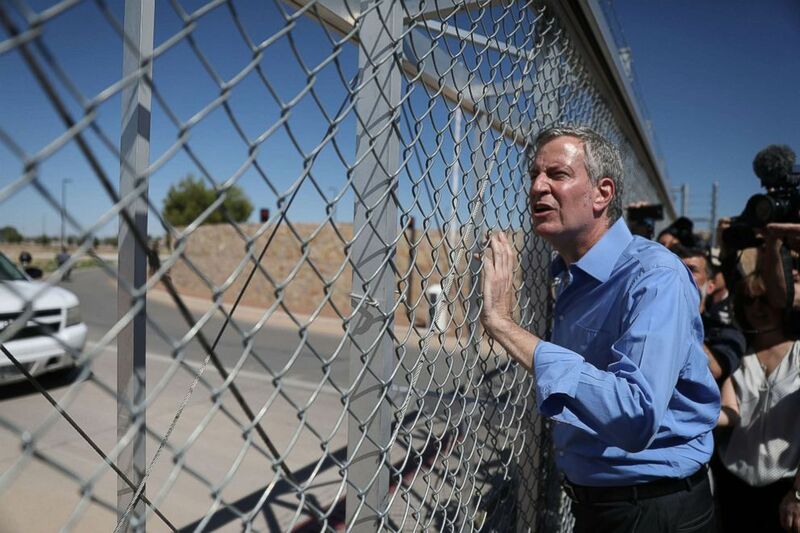 New York City Mayor Bill de Blasio stops at a gate after being told he could not cross through the gate to the tent facility setup at the Tornillo-Guadalupe Port of Entry, June 21, 2018 in Fabens, Texas. "I think the word 'compassion' comes into it," Trump said as he signed the executive order in the Oval Office. "My wife feels strongly about it. I feel strongly about it. Anybody with a heart would feel this way." First lady Melania Trump traveled to Texas Thursday in an unannounced visit to a social services center amid a crisis over migrant children being forcibly separated from their parents as a result of the administration's "zero-tolerance" policy. Mayors from around the nation and across the political aisle also converged on a detention center in a border town Thursday to protest the family separation policy. "We are better than this," Los Angeles Mayor Eric Garcetti, a Democratic member of the group, said during a press conference in the Tornillo, Texas, a suburb of El Paso. "Children are not poker chips; they are people. We demand that Washington fix the mess that it has created."